This bullish sentiment is contained in a report by US- and UK-based Goldman Sachs analysts Caesar Maasry, Ron Gray and Sara Grut. The report was prepared earlier this month, in the wake of the ANC’s national elective conference, at which Deputy President Cyril Ramaphosa was elected ANC leader. “With emerging assets still well bid as we enter 2018, investors are looking for ‘the next big emerging market story’ akin to Brazil in 2016 and Mexico in early 2017. South Africa is at the top of the list of potential candidates, given the market-friendly ANC leadership ... outcome,” the analysts say in their report. 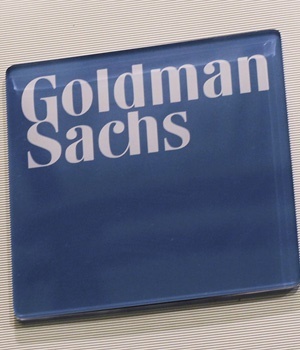 SA Chamber of Commerce and Industry (Sacci) CEO Alan Mukoki said Goldman’s forecast was good news as the markets paid attention to the company’s reports. While Goldman had fairly aggressive growth forecasts for 2018, it was up to South Africa to get its act together and achieve this, Mukoki said. Goldman Sachs said although they were optimistic about South Africa entering 2018, they noted that the starting point was quite different from other emerging market turnaround stories of recent years. “It is still unclear what sort of reforms president-elect Ramaphosa can realise, particularly given the vote outcome was quite close. Goldman is forecasting that GDP could expand by 2.3% this year – possibly making them the most bullish about how the local economy could perform. Most local economists are forecasting growth of between 1% and 2% this year, up from growth of 1% or less in 2017 and 0.3% in 2016. Last year, before his election as ANC president, Ramaphosa set a growth target of 3% for this year. Ramaphosa said South Africa was the “hottest emerging market”. He and Coleman were speaking at a breakfast event in Sandton on Thursday morning. The World Economic Forum meeting takes place in Davos, Switzerland, next week. In contrast to South Africa, Goldman is expecting emerging markets to grow by 5.5% on average in 2018. Of the 19 emerging markets that Goldman made growth forecasts for, the 2.3% for South Africa was the slowest rate of expansion. India was at 7.6% and China and the Philippines, both at 6.5%, led the way. Mukoki said that while Goldman’s growth forecast was bullish, it was low relative to other emerging market countries. The International Monetary Fund and Treasury forecast 1.1% growth for 2018. The SA Reserve Bank (SARB) this week hiked its growth forecast from 1.2% to 1.4%. SARB governor Lesetja Kganyago said this week that the outlook for local growth remained challenging. “Domestic growth prospects appear to be showing some signs of improvement, although off a low base,” Kganyago said. Goldman forecast total rate cuts of up to 0.75% this year, given expectations of lower inflation anchored by a strengthening currency. Goldman sees the rand appreciating to 11.50 to the US dollar in 12 months. It was at 12.18 on Friday and at 14.38 in November, before the ANC’s elective conference. “The improving growth outlook in South Africa and leverage to commodity prices suggest the rand can move meaningfully stronger in 2018 on our estimates as well,” Goldman said in its report. However, the investment bank cautioned there was still risk for a downgrade of local debt. Such a move would exclude South Africa from major fixed-income indices and weigh on the currency. Mukoki said South Africa wasn’t out of the woods when it came to possible credit downgrades and it was key for the country to increase its rate of growth.